You’ll love coming home to the functional luxury of a pet-friendly one or two bedroom apartment at Alon at Castle Hills. 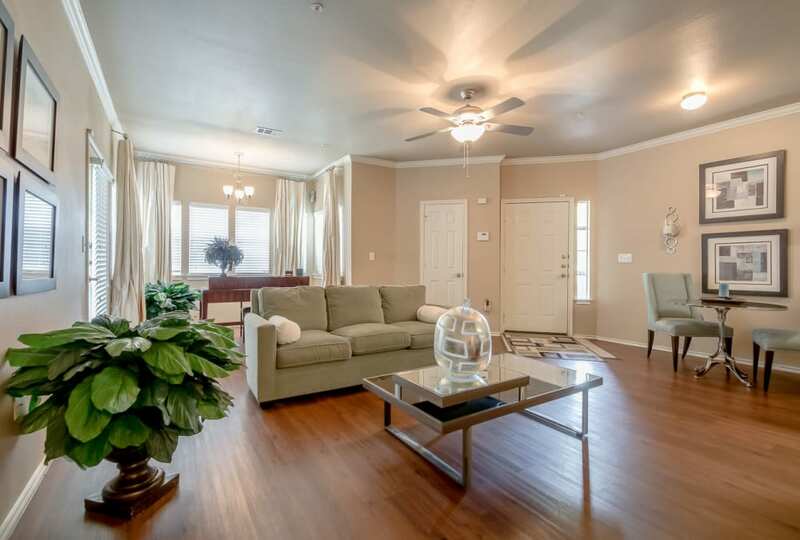 Our elegant San Antonio, Texas, apartment homes offer a variety of upscale features designed to streamline your every day. 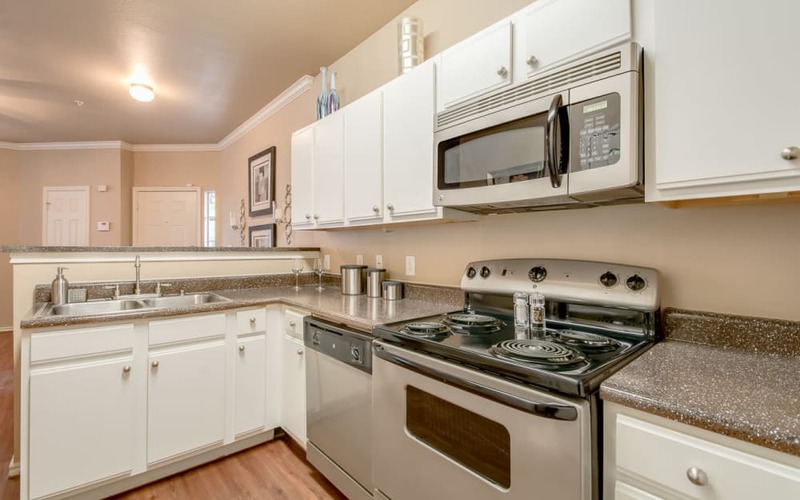 Cooking up delicious dinners is a breeze thanks to your very own chef’s kitchen. And when it comes time for cleanup, you’ll appreciate the dishwasher, easy-to-sweep hardwood-style flooring, and washer and dryer connections, giving you the option to skip the laundromat. At Alon at Castle Hills, you have the option to choose from nine unique floor plans ranging in size from 535 to 1,065 square feet. Each offers a spacious open-concept layout that is perfect for entertaining. Select your ideal one or two bedroom apartment and get ready for the good life in our vibrant San Antonio community, where every day is just a little better than the last. On hot days, cool off with laps in our beautiful resort-style swimming pool. Unwind in the evenings with a cold drink in our exclusive resident clubhouse. And for quiet nights close to home, indulge in a favorite movie in our private theater. Welcome home to the modern luxury of life at Alon at Castle Hills – you deserve it. Contact our professional team today to schedule your VIP tour.